Who Is Winning The Presidential Election On Facebook? Obama or Romney? Home / Blog / Who Is Winning The Presidential Election On Facebook? Obama or Romney? It’s less than a month until Election Day and I’m a citizen of the great state of Florida. That means I’m inundated by political messaging nearly every minute of every day. I also work for the top public affairs communication firm in the state, which means that I can’t get away from politics, whether at home OR at work. So, as a professional in the social media industry, I find myself constantly analyzing each candidate’s messaging on Facebook. Whether through advertising, search, messaging or community development, these two Presidential campaigns are pioneering the use of social media unlike ever before. Let’s review both Facebook strategies and how they compare, in 5 separate categories. Whether you like one candidate over the other OR neither, there is a lot to learn from both. 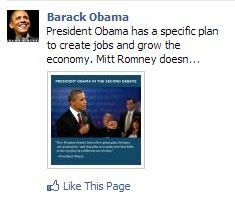 In terms of advertising, the Obama campaign is running an aggressive premium Facebook advertising campaign. The Romney campaign has been more subdued on the advertising front, instead feeling the benefits of advertising by third parties and PACs. Obama is paying to place posts in the Newsfeeds of potential voters in swing states, regardless of party affiliation and whether or not they have Like’d the candidate’s page. They’re running on both desktop and mobile, and also in the right sidebar. 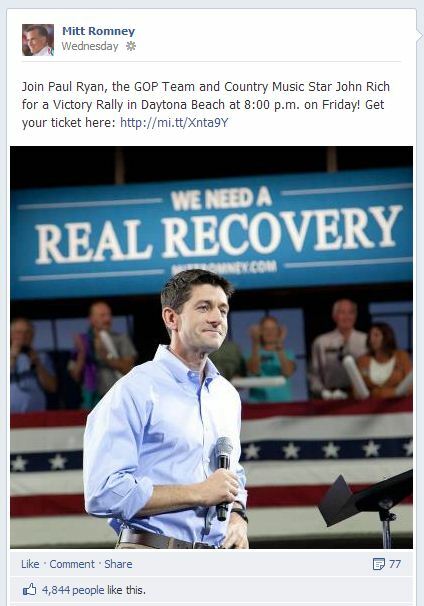 Obama is also running ads to his current fans in order to collect information and ensure that they turn out to vote. Third-party organizations and PACs, like American Crossroads and FreedomWorks, are running a variety of marketplace ads pushing for early and absentee voting in swing states. While both candidates are actively using Facebook’s new Sponsored Results advertising product, the Romney campaign is easily winning on this front. Overall, the Obama campaign is running defense. They’ve paid to sponsor their own search queries, in order to ensure that Barack Obama comes up #1 for searches of Obama’s page. The Romney campaign though has gone much farther with Sponsored Results, defending its own search position, but also placing the Mitt Romney Page in search queries for Barack Obama, Joe Biden and Paul Ryan. When searching for Mitt Romney, Paul Ryan’s Page comes up as a sponsored option too. It’s important to both defend your brand in search results when faced with aggressive competition AND go on the offensive to ensure expanded visibility. Both campaigns have taken very different strategies for Facebook audience segmentation and delivering tailored, separate messaging. The Obama campaign has created a large network of separate Pages, dividing by demographics and location. 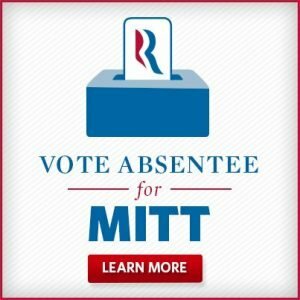 The Romney campaign focuses predominantly on the main Mitt Romney page, but makes a point of showing certain messages only to users in specific states. They take advantage of Facebook’s gating option, for example sharing information about rallies and volunteer efforts to users in specific states. The Obama campaign segments its Facebook audiences based on demographics and interests. They use different messaging for each Page. 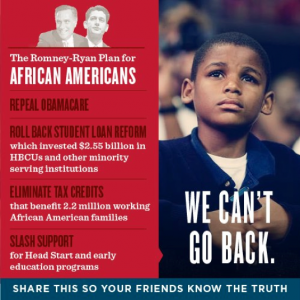 The African Americans for Obama Page features videos by prominent figures Morgan Freeman, Jay-Z and Maya Angelou, in addition to many photographs of African American voters. The Latinos for Obama Page integrates Spanish into a lot of its content. The Romney campaign has fallen short on this front – it’s only moderately successful segmented Page being Veterans and Military Families for Romney. More now than ever before, it’s increasingly difficult to cut through the clutter on Facebook and reach a user. 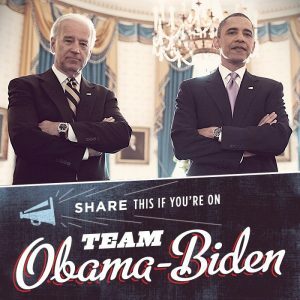 The Presidential campaigns both take great care to ensure that their messaging is quick, clever and visually compelling. Both campaigns follow Katie’s tips and heavily focus their messaging strategy on short, visually-engaging posts. 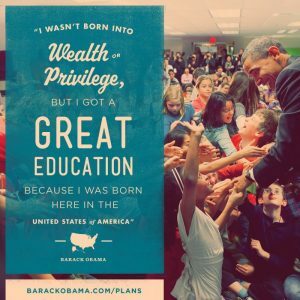 Obama’s campaign interweaves photography and text in most its image posts, either overlaying the text on top of the photo, or adding it above or below the photo. Obama’s campaign also overlays a lot of quotations over photos. If a graphic uses an overlay, they ensure that the background photo doesn’t take away from the text. 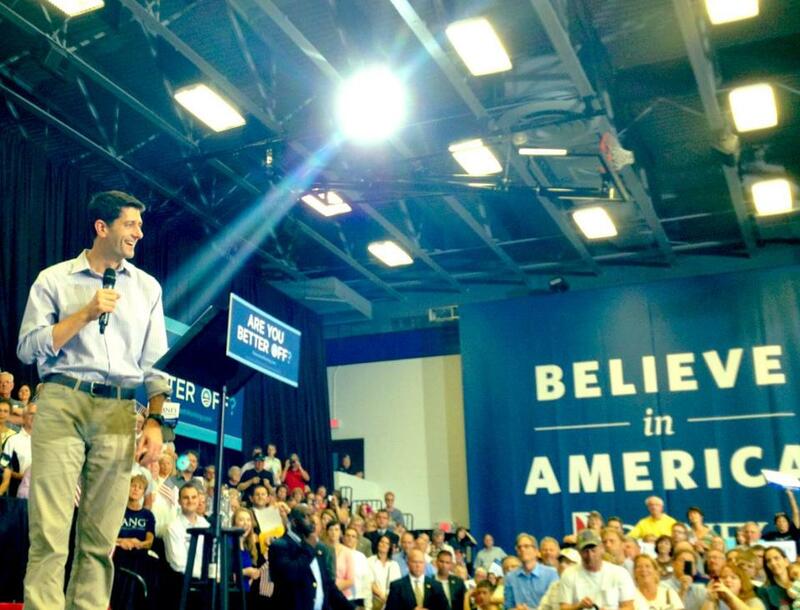 Romney’s campaign doesn’t overlay text on their photos as often, but frequently shares photos that include signage in the shot with easily readable campaign messaging. Both use consistent branding and specific typography and colors on their overlays and infographics. Obama’s branding palette appears to be more diverse than Romney’s though. Romney typically uses a simpler, traditional look with red, white and blue, and the occasional purple for women’s issues. 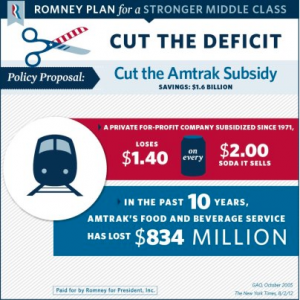 Both campaigns are also using infographics on Facebook, well sized and scaled for the newsfeed. While both campaigns occasionally share videos, Obama’s campaign uploads their videos directly to Facebook and then highlight them in the Timeline, while Romney’s campaign links directly to YouTube videos and does not highlight them. Romney’s Page features a Stand With Mitt Application that provides easy access to Timeline Badges and the ability to see which of your friends stand with Mitt. Both candidates have Donate and Store applications. Obama’s Page features a Commit To Vote Application that provides personalized voting information for the user based on their state, as well as a Register To Vote Application solely on the segmented Pages (African Americans for Obama, Latinos for Obama and Women for Obama Pages). This election cycle is the first real social media Presidential Race, with both candidates full invested and innovating in the space. No matter who wins, it is clear that Facebook and social media are now fully engrained in Presidential politics. Whose campaign do you think is doing a better job on Facebook?